I absolutely love eggs for breakfast, if it isn’t already apparent. I can go for a homemade fritatta or eggs on toast any day of the week. Another favorite, baked eggs, is one I don’t eat often enough. 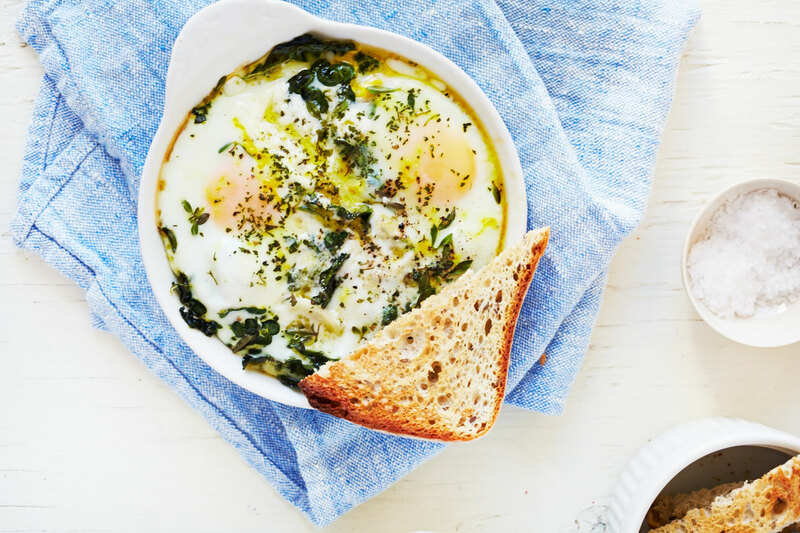 Besides being delicious, it’s the perfect no-stress breakfast dish for a homemade brunch. Serve them in your favorite ramekins, small baking dishes or even in a cast-iron (although for entertaining, the individual servings is key). For this one, I added some fresh herbs, ricotta and lemon zest for a simple, but satisfying meal. 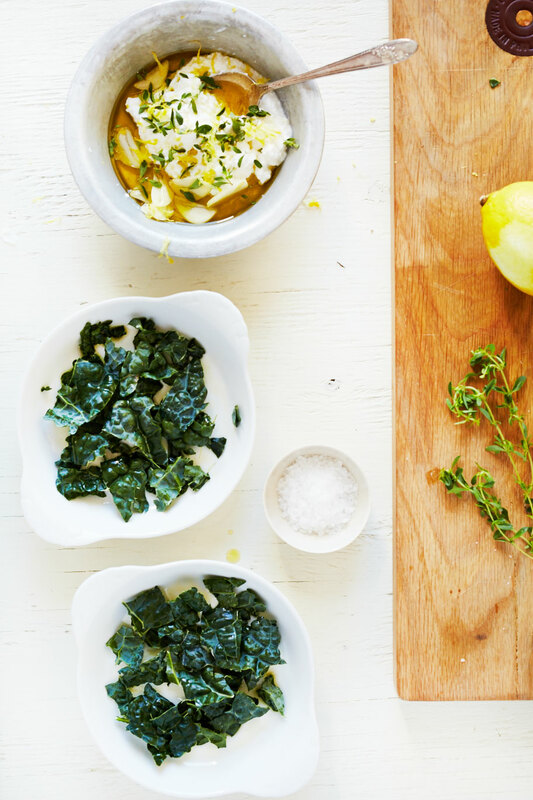 It’s best served with torn crusty bread or toast (and don’t forget the company). Preheat oven to 350 degrees. Mix first seven ingredients in a small mixing bowl. Divide evenly among two (greased) small baking dishes or ramekins. Carefully, crack in two eggs to each dish, pushing aside ingredients to make room. Then drizzle with olive oil, and season with sea salt and freshly ground pepper. Bake for 12-15 minutes or until whites have set, but yokes are still soft. Serve immediately with toast soldiers or torn, crusty bread. This looks so flipping yummy!! Such a great way to start the day! Love this! I will definitely be printing this recipe. I enjoy eggs for breakfast, but frequently get bored by the usual scrambled egg. This looks delicious and satisfying. Wow this looks delicious! Thanks for sharing the recipe! This looks like such a beautiful brunch! 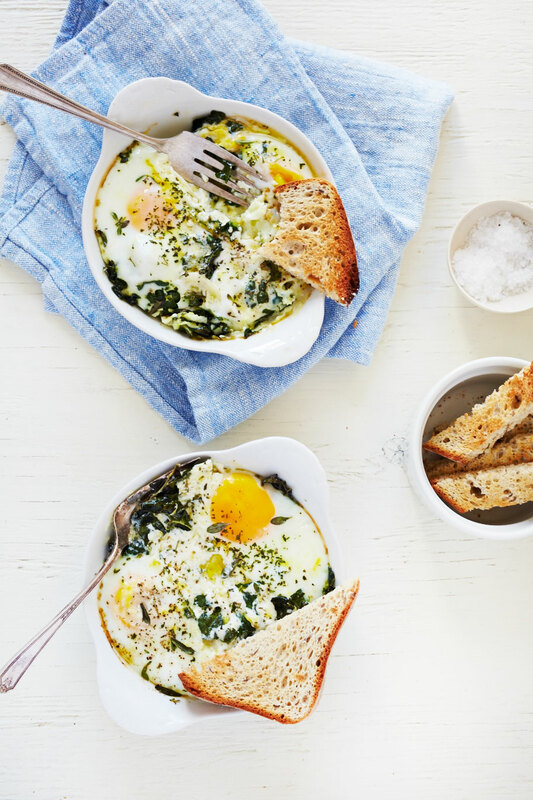 So many baked eggs recipes use cream, so I love that this version uses ricotta for a lighter and more nutritious breakfast. Thanks for the recipe, will definitely be making these soon! Made this yummy breakfast this morning……SO GOOD and beautiful! We will make this often! Great combinations of goodness! Thanks!